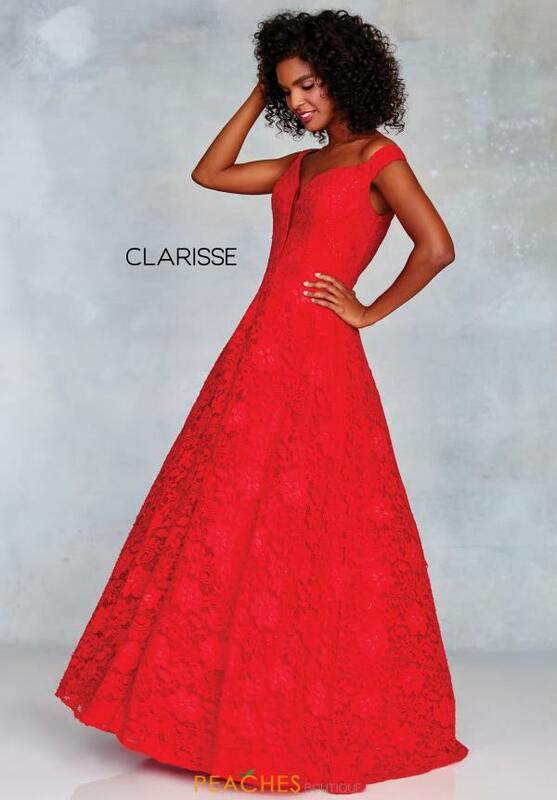 This modest prom dress 3838 by Clarisse is made in a lovely lace fabric. Showcasing an off the shoulder neckline with a mesh inset and a line silhouette, you are sure to make a lasting impression. The back of this elegant gown showcases a zipper closure and is completed with the full skirt. 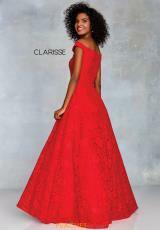 Visit Peaches Boutique in Chicago for more styles by Clarisse.